If you constantly overpack, reaching your goal of packing light is a process. Expect to work through a few tries before you nail traveling with a carry on only. There will be some trial and error, practice, and learning. Just as you would with a diet, you should aim to ditch the extra weight bit by bit. In this segment, we’ll take the chronic overpackers through their last step in the process of getting from traveling with all the luggage they’re allowed to bring on a plane, to a simple carry on and personal item only. This is where things really get fun and the true packing adventure begins! Either the carry on sized rollerbag, duffle, or backpack. Use whichever one you liked best. If you haven’t been following and need some recommendations on what to look for, head on back to the previous installment for some tips. One of the bags from the Outbreaker or Setout collections would be a great, TSA friendly choice. A daypack, messenger bag, or purse. 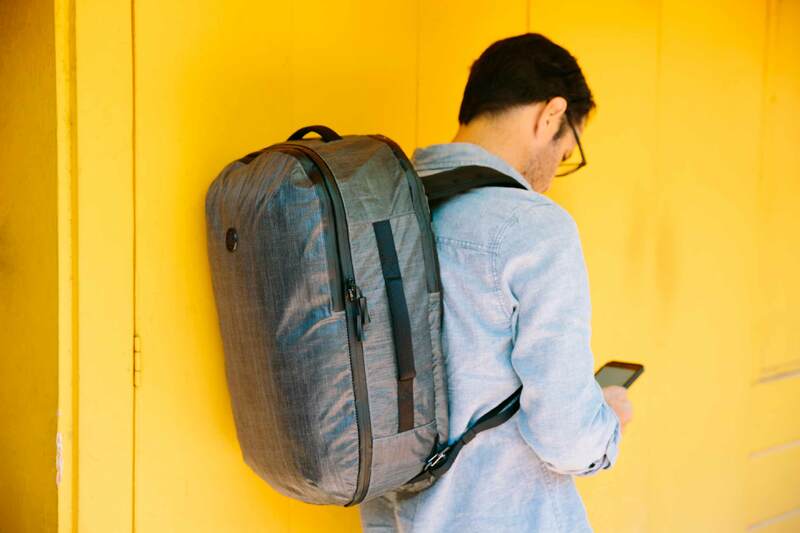 Choose whichever one you’d prefer to walk around town with and opt for something the size of a daypack. It absolutely counts as a personal item (since it fits nicely under the seat). Just keep in mind that if you’re on a crowded flight, you might be asked to check your bag at the gate — especially if it’s a rollerbag. Fortunately, though, on most airlines, you shouldn’t have to pay anything for this service. Traveling with a travel backpack makes it less likely that you’ll be selected to gate check your bag. 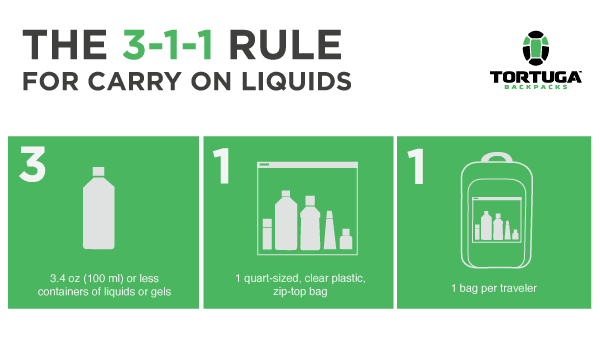 This is an extension of step 1, since it might change which pieces of luggage you decide to travel with. 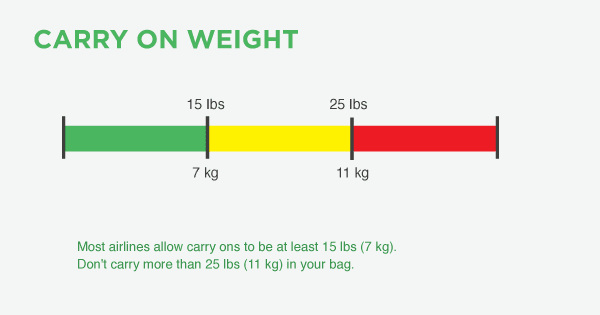 But, if you’re not familiar with them already, get familiar with carry on rules when it comes to luggage size, weight, and what you can, and cannot, bring on an airplane. Most of it’s obvious, a few things, like what the TSA considers a liquid, bears double checking. If you can make something smaller, make it smaller. Literally, every little thing could make a difference in getting your stuff to fit in a small bag over a medium sized bag. Toiletries are the obvious one. 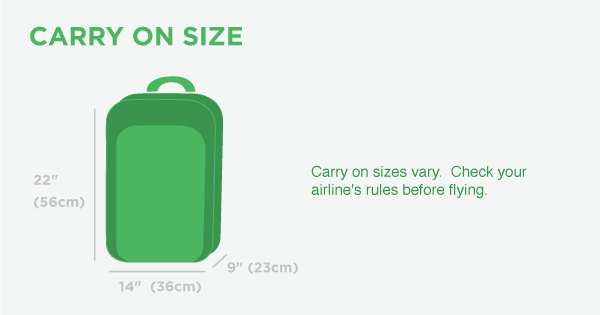 Even though you’ll have to stick to 3 oz or less now that you’re doing carry on only, sometimes there’s potential to bring an even smaller version. A 1 oz vile of perfume, for example, can last weeks. Water bottles are something I never travel without. But I prefer to pack a platypus so it takes up very little room in my bag while I’m not using it. Yoga mats, if you like traveling with one, are bulky. Instead, opt for a travel yoga mat. Yoga by Candace has some good reviews of travel yoga mats to consider. Neck pillows are nice, but bulky. Grab an inflatable one that you can easily stow when you’re off the plane. Headphones… earbuds are the way to go. The iPad Mini is my preferred travel device. It works as a kindle, laptop (with a keyboard attachment), and slips nicely into a small purse. Try to bring as few electronics as you can, since these, and their chargers, can take up space and weight. We’ve also got some tips and tricks for using an iPhone instead of a nice DSLR. When possible, try to ditch cases and consolidate containers as well. For example, I swapped out my bulky laptop case for a hardcase (when traveling for work, I’ll bring my laptop instead of the iPad) which makes it much easier to fit in the outer pocket of my backpack. Get creative. Personally, I tend to overpack when there are a dozen different activities that I want to do on a trip (all of which require their own special type of shoes, naturally) and feel like I need to bring my own personal equipment for each. It’s taken a few years to stop traveling with my rock climbing harness, climbing shoes, hiking boots, a yoga mat, and sports gear for every other possible scenario (what if we decide to go camping? Ahh!) but it’s helped me to reduce the amount of single-activity-specific gear I bring by planning my activities in advance and becoming okay with renting equipment when necessary. This is, of course, a little different if I’m planning a 5-day trip somewhere just to rock climb, bike, hike, or do a yoga retreat, but for an average trip where one of these activities is simply one of many, between going out, eating, or laying on the beach, I push myself to leave my personal equipment at home. Instead, I’ll take a look at what the destination is most known for and choose one activity (usually hiking) that I’d like to do the most. For everything else, I’ll rent equipment from a tour outfitter once I’m there. If you’re ready for it, try out the packing pro tips that we’ve talked about elsewhere in the Tortuga blog. For example, instead of saving space for souvenirs, pack items you’ll want to get rid of along the way (old clothes, toiletries, a book that you can leave behind at your hostel) to free up room. Shannon talks about this in her Disposable Packing List post. Challenge yourself to see if you can get your packing list as minimalist as possible by reducing what you’ve already packed, then reducing again! Ditch the destination packing list and use our definitive carry on packing list instead — for every trip. Laptop on the outside, unless you have a bag from the Outbreaker Collection, which allows you to leave your computer in the bag for TSA screening. Passport/ID, phone, wallet, and boarding pass in a hip pocket, or top pocket (though, I usually move these around when I’m outside the airport to prevent theft). I’d also recommend avoiding accessories and bobby pins. Wear slip on shoes when possible. For this reason, I always prefer to travel with hiking sneakers, not hiking boots, since if I have to wear them while in transit they’re much easier to slip on and off. No matter how much advice I give or how specific it is, the perfect carry on packing list for you will be different than anyone else’s. The only way to truly nail a carry on only travel style is to test it out and take notes on what worked, and what didn’t. Was ditching the neck pillow a truly terrible idea? Do you think you could probably bring one less t-shirt? You’ll never know until you’ve tested it out, taken notes, and then put those notes to the test the next time you travel. In my opinion, that’s the fun part! So, I haven’t talked too much about the benefits of traveling with carry on only throughout this series, since I assumed that if you’re here, you’ve probably got a reason or two for wanting to pack lighter. But, just in case you need a little extra encouragement, here are some of the results (in numbers!) that you can achieve if you travel with carry on only. Shave off an average of 21 minutes per trip waiting at the luggage carousel, and anywhere from 5 – 35 minutes checking your bag in the first place. For a round trip flight, let’s assume that’s a total of 1 hour 22 minutes saved. If you travel twice a year, that’s nearly 3 hours less time spent in an airport per year. Expect to save between $100 – 200 per year on luggage fees, depending on airlines, as well as the additional money spent on tips for porters, luggage carts, and possible overweight baggage charges. Without extra bags you’ll be more likely to take a bus or train instead of a taxi, which saves even more. Gone are the worries about anything getting broken, stolen, or lost by an airline in transit. Ever. Also, less luggage=less stressful airport and transit experience overall. Yay! With less luggage, you’re able to move more freely and say, “Yes,” to more. Once, I met a guy who was traveling by motorcycle in Morocco. When I asked if I could hitch a ride from Marrakesh to the coast, he said, “Well, since you’ve packed so light, that’s not a problem. Sure!” Had I brought too much, one of my favorite travel adventures never would have happened. Try a super-pro packing tip, like disposable packing. Test it out, take notes, and try again! It’ll take a couple of trips before you get your packing list perfectly honed, but before you know it, you’ll be a packing pro. Best of luck! And, we look forward to hearing about your packing adventures in the comments below, or on social media.